Organising an event is a challenge as you’ll have to manage multiple tasks while adhering to the event plan. You’ll have to carefully manage all these tasks, right from deciding the theme, to delving into minute details like the design of chairs and designs. Even though you might have an event management team at your disposal, you’ll still have to personally delegate tasks, and keep track of all the activities. Determining the right combination and design of tables and chairs has a significant impact on the overall theme of an event. Here’s what you need to know about the design of chairs and tables for an upcoming event. One of the most underrated, yet crucial factors that many a time go unplanned is the seating arrangement, and as such the type of chairs and tables, you hire for the event. Yes, it’s true that you may hire one of the most prominent companies that offers chair rental service, but there you may not have done proper research before doing that. You will find a lot of tables and chairs rental Singapore companies that will be at your service in a jiffy. That’s not a problem. The real thing lies in the design of chair and table that you opt to have. How to choose the appropriate design? – The format of the event. In case the event is a formal one, metal chairs and tables will not be the right choice. Though these chairs come up in a wide variety of styles and getups, they are not suitable to be used in formal events. Stackable Tiffany chairs that are more elegant and classy will be a better choice. Hence, when you hire tables and chairs rental Singapore company, you need to instruct them accordingly. – The types of logistics. Evaluate whether foldup chairs and tables will project the right image of an informal event if it is meant for friends and family. The material of the seat plays a part too – for an event which involves water activities, it is certainly not feasible to choose logistics with fabric or cushion. Hence, it will be a good idea to work on the budget as you consider these factors. The design of chairs and tables does have a powerful impact on the events that they are suitable for. One of the vital criteria of any event is the seating arrangement. It dictates the mood and the purpose of an event. The seating arrangement of a formal event will undoubtedly differ from that of an informal event. Likewise, the type of chairs and tables you use for a corporate event can never be the same as the ones you use for your wedding party. Any mismatch in the furniture or arrangements will ruin the party and its purpose. That’s why you need to take all these factors into consideration before you hire tables and chairs rental Singapore service provider to deliver chairs and tables for your event. When we talk about the impact of chairs and tables on an event, they have to go along with the ambience of the party as well. They need to be such that they not only reflect the mood of the event but help the cause in all possible ways. 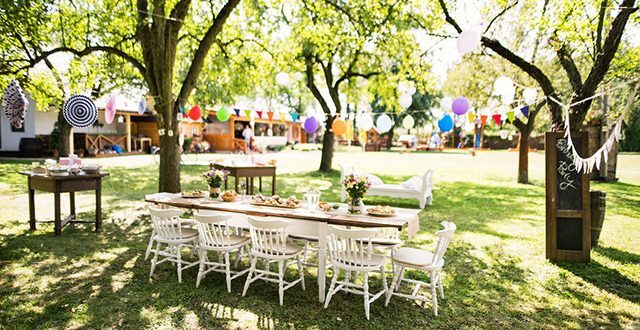 Comfort and durability aside, the tables and chairs should have matching designs to the theme of the party, so that optimal ambience is achieved. Thus, if you may have thought that you will do away with any type of chair and table that you hire from any tables and chairs rental Singapore service provider for your event, you will not be able to have an event that is executed flawlessly. Share the post "How the Design of Tables and Chairs Impacts an Event"